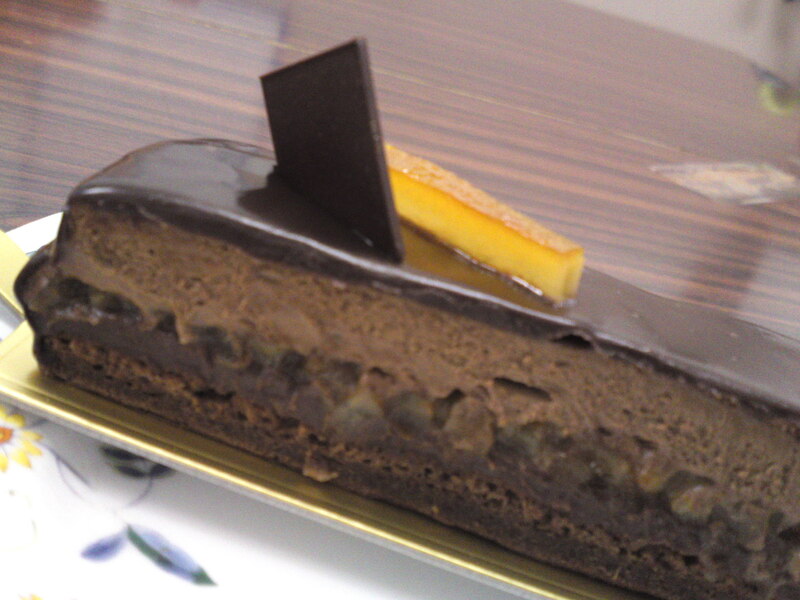 French Cake: “Grand Marnier” by Ludovic Le Teigner at Patisserie Le Teigner in Shizuoka City! It has indeed taken little time for Ludovic le Teigner, a native of Bretagne, France, since he opened Patiseerie Le Teigner in Shizuoka City in April last year to establish himself as the best Chef Patissier in our town of almost 800,000 souls! This is the of probably a very long series of tastings of his extravagant creations all in finesse and exquisite details! 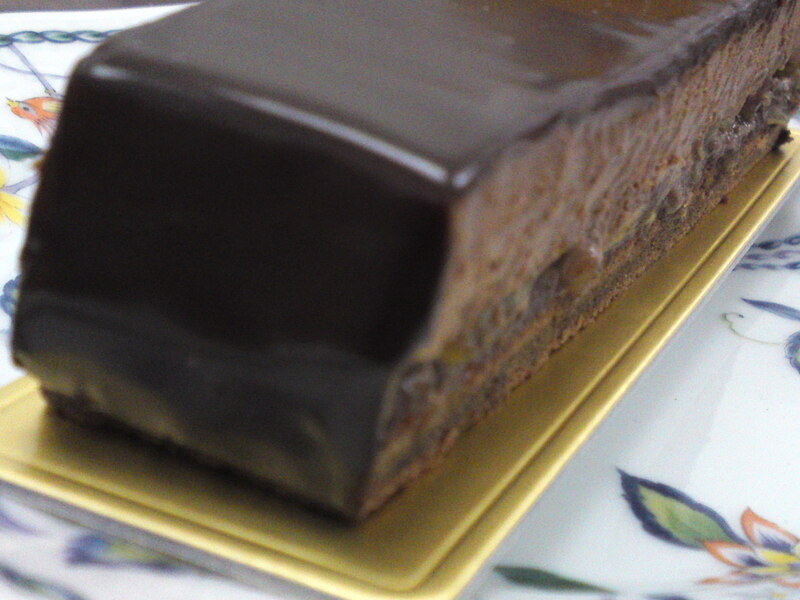 This particular cake was actually recommended to me by Ludovic when I visited him at a special event in Isetan Department Store in Shizuoka City: “Grand Marnier”! Grand Marnier is the famed French orange liqueur used in the making of this cake conceived around chocolate and oranges. 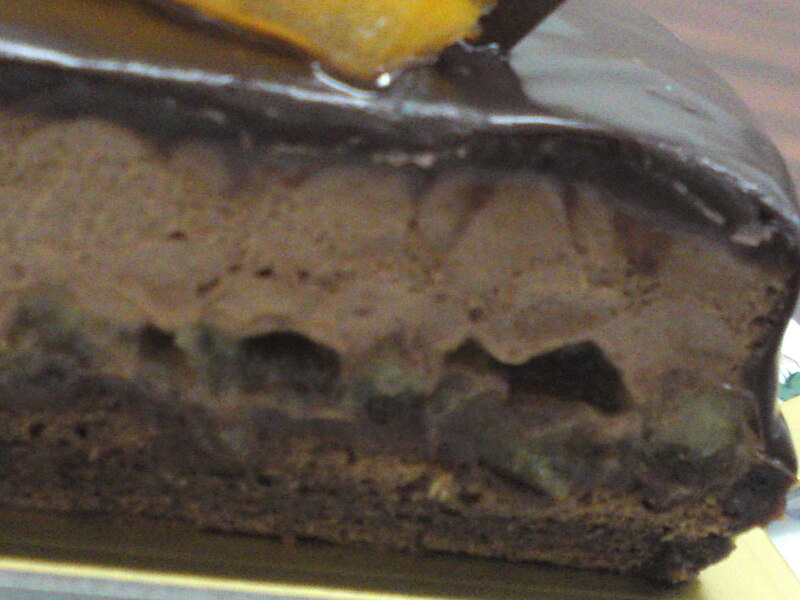 It is mainly composed of two layers, the bottom one a chocolate biscuit covered with bits of candied orange and the top layer a chocolate mousse, both beautifully accentuated with Grand Marnier orange liqueur. The whole is covered with a fine chocolate ganache and decorated with a stick of candied orange and thin square of chocolate. Cut through its soft texture with a fork and discover the marriage of at least four savors! Delicious, both sober in approach and extravagant in taste and ingredients! To appreciate with a cup of superior quality tea or coffee!